This August, the South Indian state of Kerala has witnessed the most disastrous monsoon in over 100 years. More than 200,000 people have been rendered homeless and more than 300 left dead, with no means of access – roads, electricity, mobile phone networks, and transport. Cochin airport lies dilapidated and closed until August 26. 41 of Kerala's 44 rivers are overflowing. 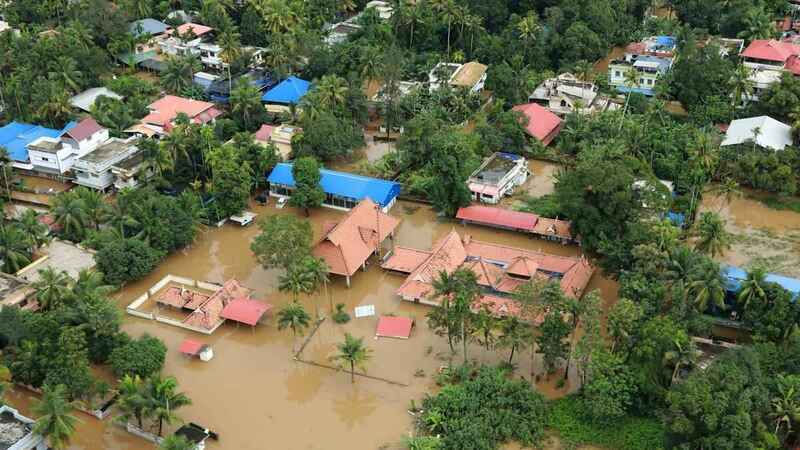 Kerala's residents need your help! IAHV in partnership with Art of Living Foundation is responding to this situation. Over the past few days, hundreds of volunteers were deployed in relief work across several districts of Kerala. Our volunteers have reached out to more than 50,000 people, collected and distributed more than 20 truckloads of relief material including water, food, clothes, temporary shelters and other basic necessities. With your support, IAHV & Art of Living Foundation is working relentlessly to help alleviate the suffering of those severely affected. At times of crisis, collective resolution can go a long way to help those who need it most. IAHV (USA) is a 501(c)(3) nonprofit organization. All contributions in USA are fully tax-deductible. From the South Asian second generation families of Columbus, Ohio, USA. Hoping a speedy recovery to normalcy. We are all with you! May all living beings be in peace! True Wood Interior Design Works LLC, Dubai, UEA company has donated this funds for the people who have affected from Kerala floods. I am a Malayali. I wish to help the flood-affected people of Kerala. Jai gurudev.